FLRI believes that an outsourcing partnership should go beyond a traditional marketing arrangement or, a standard vendor/customer relationship. It is a partnership that requires the development of mutual understanding and trust. Each participant must fully understand its role in order for a win/win situation to emerge. 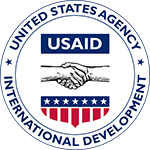 This philosophy has been a key factor in developing relationships with companies participating in the USAID International Contracting Arena. Our unique business model and talented workforce is one that can bring a win/win approach to these partnerships. Government contractors are required to become quickly operational in project countries. They need to purchase everything from routine MRO and administrative supplies to engineered and technical items for these locations. Building an internal infrastructure, experienced with time zone differences, cultures, customs, currency exchange, etc. is an expensive proposition. FLRI is able to provide our customers with this required knowledge and transfer this experience to our customers at a fraction of the cost that it would take to perform these tasks in-house.  In addition, as an American Indian owned small disadvantaged business, we bring a win/win contracting situation by allowing our customers the opportunity to meet some of their subcontracting goals. Our overall objective is directed toward providing our customers a universal service oriented procurement, supply chain management, and logistics package to comprehensively meet the demands of their international projects. Brandon Blackwelder is the President of FLRI. he brings 25 years of experience managing international support service contracts for both public and private sector clients. Mr. Blackwelder is an active American Indian tribal member of the Citizen Potawatomi Nation. His ancestry lineage is from a well recognized name of honor within the Citizen Potawatomi Nation. Mr. Blackwelder served as an International Trade Specialist and Vice President Director of Operations for a privately held US based government contractor from 1992 to 2003. He has managed highly sensitive contract operational activities for government agencies including US Department of Treasury, US Agency for International Development, US Army Corp of Engineers, Dept. of Defense Ft. Huachuca Intelligence Center, Bureau of Indian Affairs, Indian Health Services and the United Nations. The objectives of these project activities included assistance in the areas of Privatization, Disaster Relief, Judicial reform, Health and Family Planning, Post War Reconstruction, Currency Exchange, Agriculture and Energy. Mr. Blackwelder’s activities have included hands on Procurement and Logistics management for the Iraq post conflict, reconstruction efforts. In 2003 Mr. Blackwelder provided complex logisitcal support for the Afghanistan Currency Exchange program. This program required the destruction of old Afghan currency and air transport and delivery of newly designed currency into their National Banking System. Mr. Blackwelder has worked and traveled extensively in South America, Asia, Middle East and Africa. He has demonstrated sound judgment in highly sensitive project environments which has led to a reputation for getting the job done.